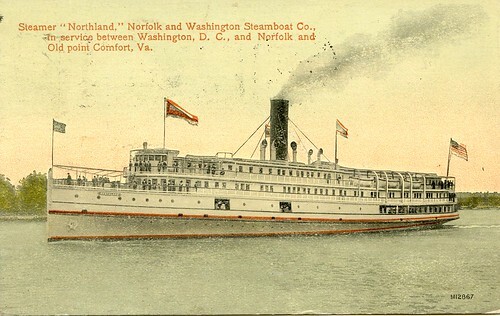 The Northland was built by the Harlan & Hollingsworth Corp., Wilmington, Del., in 1911 for the Norfolk and Washington Steamboat Company. 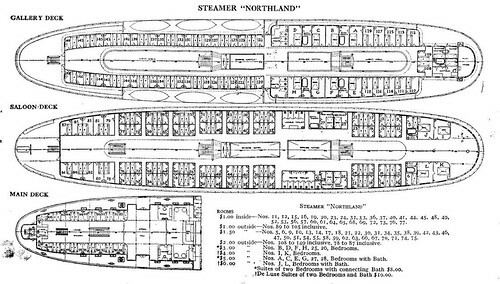 Like the Southland, she transported passengers and freight between Washington and Norfolk. During the first part of World War II, she operated as a transport with the British Navy. She was assigned the name Leyden (IX-167) on May 18, 1944, and was acquired by the Navy and commissioned May 22, 1944, Lt. William S. Johnson in command. From her commissioning until July 1945, Leyden operated as a naval auxiliary in British staging areas and French ports during the final European campaigns of World War II. Leyden was decommissioned at Falmouth, England July 23, 1945, for return to the War Shipping Administration, and was sold to the Fu Chung International Corp. November 7, 1946. She was renamed Hung Chong. She was broken up as scrap in 1955. From the June 29, 1901, Colored American. The U.S.S. Dolphin was built by John Roach & Sons, Chester, Pennsylvania. 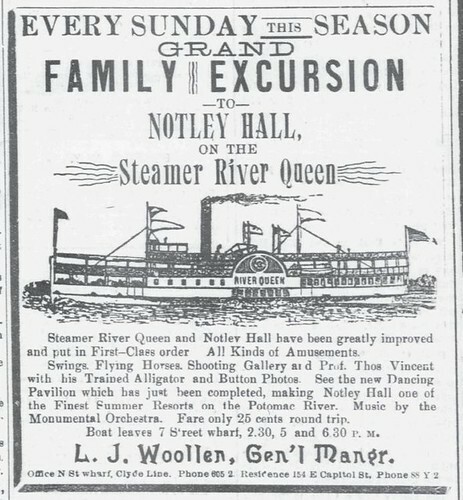 She was launched on April 12, 1884, and commissioned December 8, 1885. The dispatch vessel of 1,465 tons was commanded by Henry W. Lyon. The ship carried the flag of the President and Secretary of the Navy for 12 years and carried more distinguished guests than any other boat in the U.S. Navy. In this regard, it is considered the second ship to be used as a presidential yachts. The U.S.S. 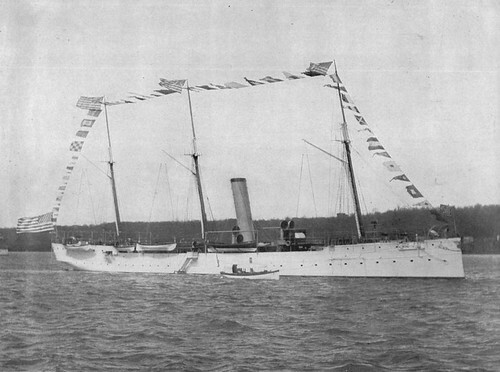 Dolphin was one of the first modern ships constructed for naval service in the U.S. During the Spanish-American War it was transformed into a war-vessel and at Guantanamo Bay, along with the U.S.S. Marblehead, the U.S.S. Dolphin protected U.S. Marines from defeat. 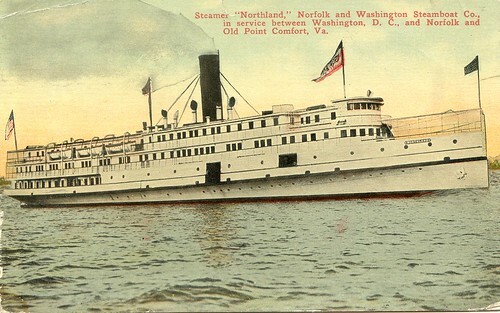 The Southland was built in 1908 at Newport News, Va., by the Newport News Shipbuilding and Drydock Co. as the SS Southland. 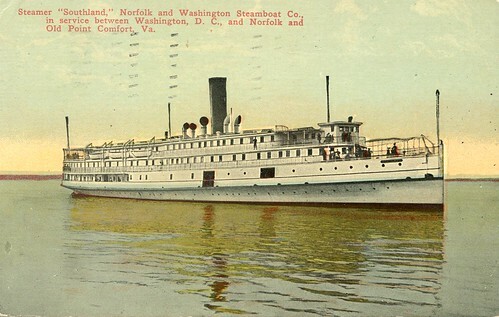 The steamer operated for the Norfolk and Washington Steamboat Co. on the Potomac River and Chesapeake Bay, transporting passengers and freight between Washington, Alexandria, Old Point Comfort, and Norfolk. The Southland was acquired by the War Shipping Administration in 1942 for transfer to the British Ministry of War Transport. She was returned in 1943 and converted to accommodate 544 passengers and chartered by the United States Navy, commissioned on 22 May 1944. Southland was assigned to the 12th Fleet until 1945, when she was decommissioned and struck from the Navy list on August 13, 1945. Subsequently, the vessel was sold to Fu Chung International Corp., China, and operated as Hung Yung until scrapped in 1955.